With 7 days left before the holiday, I'm still making some additions to my Halloween decor. 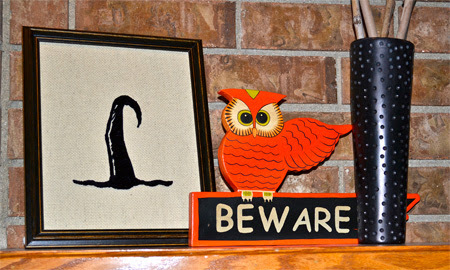 I've been wanting to add a little more decoration to our mantel, so I thought I'd create some Halloween silhouettes. It turned out to be a really simple and fun craft. It was also a great project to do during nap time. Textured fabric like burlap or cross stitching material. 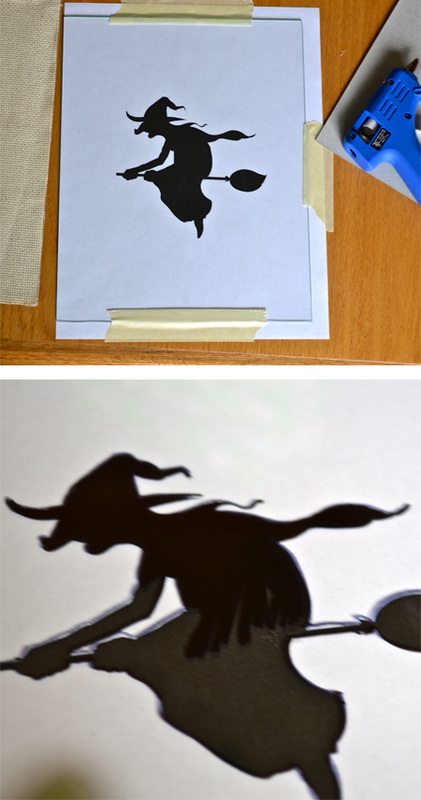 Printed image to copy for the silhouette. I found a couple of images online that I liked and printed them off. 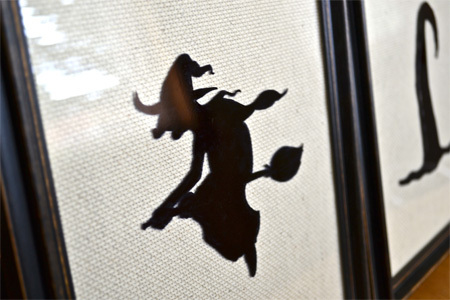 There are tons of Halloween silhouettes available online. I took the glass out of my frames, positioned it over the silhouette and then just copied the image straight to the glass using my sharpie. When I was done copying the image, I hot glued the fabric to the backing in the frame, then laid the glass on top of the fabric. At that point, I could see if there were any spots I had missed and I filled them in. I actually left the sharpied image facing out. 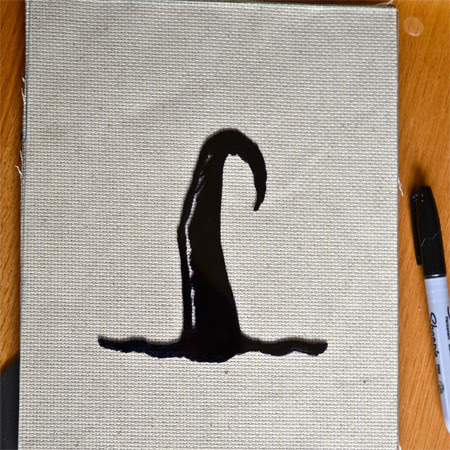 It gives the impression of it floating away from the background a bit. I really like the way they turned out. 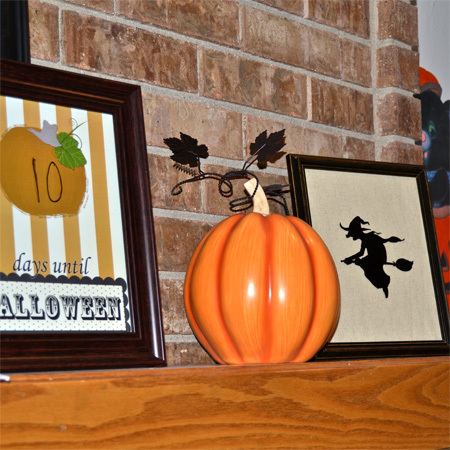 They are super simple, but give a fun Halloween flair to the mantel. It will be fun to bring them out again year after year.